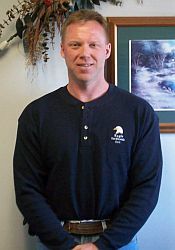 Loy is the Vice-President for Eagle Hardwoods. Loy graduated from the NHLA grading school in Memphis Tennessee. He has over 20 years experience in the hardwood lumber industry and is continuously working to find new ways to keep Eagle Hardwoods at the top of our industry.